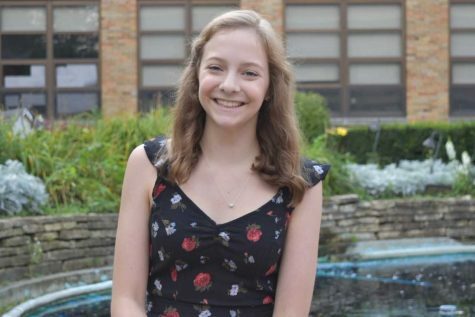 Abby Stockmal is a senior who, when not scrambling to finish an essay she that she procrastinated, can be found watching reruns of "Friends", making an unnecessary amount of oatmeal chocolate chip cookies, or taking extra long routes home so she can jam out to one last song in her car. Although people describe her as indecisive, she just attributes this to her curiosity and desire to try new things. She loves manatees, fall, late-night ice cream runs, traveling, green tea, and mini-golfing (despite the fact that her hand-eye coordination is subpar). If you ever need someone to lift your spirits through bad puns or stories of social ineptitude, you can contact Abby at 819636@hinsdale86.org.